J ohn Garn is a specialist in whole system approaches to environmental protection and sustainable development. His mantra is context. John has more than 20 years of experience working with both public and private organizations on regulatory redesign, creating Green Business Programs, developing environmental certification systems, improving agricultural sustainability and operational efficiency, and building both internal and external engagement. John has more than 15 years experience working with the wine industry. He is a lead author for the Wine Institute and California Sustainable Winegrowing Alliance statewide Sustainable Winegrowing Program (SWP). 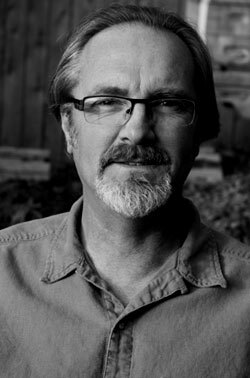 Since the self-assessment program began in 2002, John has helped to expand the program's reach, updating The Code of Sustainable Winegrowing Practices, contributing to the 2004 and 2009 California Wine Community Sustainability Report, and developing and leading the energy efficiency workshops throughout the state, reaching more than 1,000 industry professionals. John was instrumental in the development of the Napa Valley Vintners' Napa Green Winery program. The founder of Patagonia, Yvon Chouinard, participated in the launch of the program and told a Wine Business Monthly reporter, "I’ve been at this for 30 years and this is the best, most well-thought-out program I’ve ever seen." In addition to working with state and regional organizations, John has worked with a long list of individual wineries, including Benziger Family Winery, Bogle, Cakebread, Seghesio, and Sonoma Wine Company, to help assess and improve resource use efficiency and implement more sustainable practices.